As an established Oracle® Platinum Partner with a proven track record, Delivery Centric demonstrates a commitment to excellence with certified skills in Oracle® Oracle Identity Management, CRM On Demand, Oracle® Sales Cloud and Oracle® RightNow – a cloud-based customer service solution. Delivery centric Solutions extensive domain experience, technological excellence and stress on timely responses are the key differentiators. Through a global delivery model and structured methodologies Delivery Centric delivers innovative Security and Cloud based CRM solutions worldwide with 100% customer satisfaction. We partner with Pegasystems to bring robotic intelligent BPM and CRM solutions to the Australian Enterprises and Industries. Our partnering solutions with Pegasystems bring massive potential to Australian Market with excellent digital customer experience. Our experienced team with Agile methodologies delivery superior Enterprise-grade next generation solutions. Delivery Centric is an Australian IBM Business Partner focused on delivering innovative and intelligent business technology solutions. Certified across the complete IBM range of software and infrastructure, we provide complete support for your IT project, from consultation and licensing, to development, implementation, hosting and training. A dedicated team of Delivery Centric technology experts and software engineers will work with you to ensure your IT problems are solved, business needs are met and project expectations are exceeded. Our clients are our partners. We work with them over many years, all around the world, to ensure they achieve true and ongoing benefits from their technology investments. Adobe is the global leader in digital marketing and digital media solutions. Adobe’s tools and services allow their customers to create groundbreaking digital content, deploy it across media and devices, measure and optimize it over time, and achieve greater business success. Adobe helps its customers make, manage, measure, and monetize their content across every channel and screen. Netcentric partners with Adobe delivering solutions based on the marketing cloud. We are a Strategic Partner with ForgeRock. ForgeRock is out to transform the way organizations approach identity and access management, so they can deliver trusted digital relationships that improve the personalized customer experience and, ultimately, drive greater value. We make it happen with the best commercial open source identity platform for securing anything, anywhere, on any device. 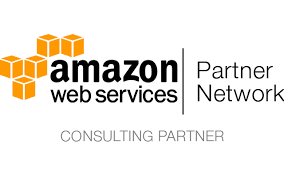 Delivery Centric is AWS Consulting Partner. Our AWS partnership allows you to benefit from their range of services from computing to storage to analysis and can be customised for each use case. Saving customers time and money whilst delivering excellent, low-latency network globally with the added benefit of you only paying for what you use! You’ll also benefit from comprehensive project management and hands-on technical support, from Delivery Centric’s expert team of developers, utilising our software arm, to truly harness all the capabilities of AWS. Amazon Web Services are one of the World’s leading cloud service providers with data centres in 9 strategic regions giving unprecedented coverage to its clients. Storage, Compute power, Database and CDN are just part of the expanding service offering from AWS.